15 GLUTEN FREE HOLIDAY RECIPES PERFECT FOR THANKSGIVING OR CHRISTMAS. With American Thanksgiving just around the corner, Geoff and I thought that – even though it feels like midwinter here – we’d post some of our favorite fall recipes for our readers further south. As always, all of the recipes are gluten free. HAPPY HOLIDAYS! 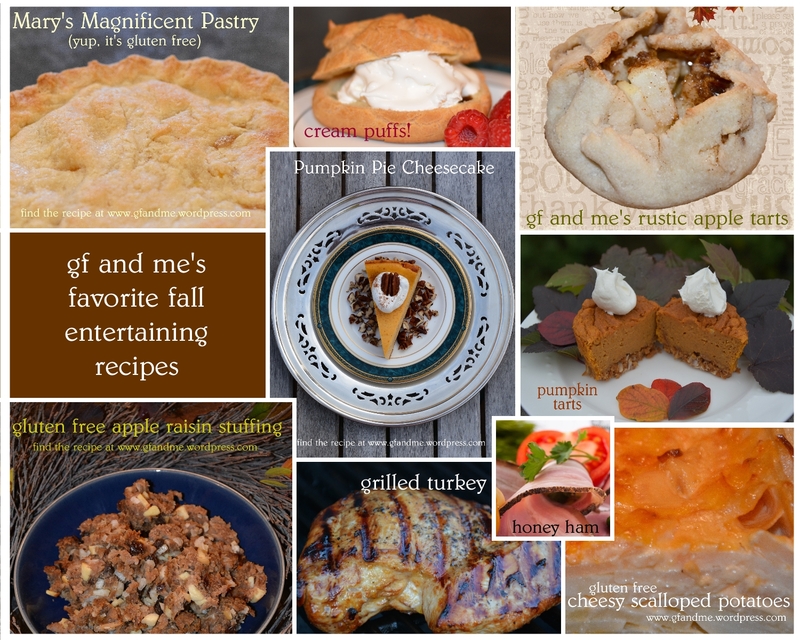 This entry was posted in Baking, Drinks & Desserts, Lunch and Dinner, Recipes and tagged celiac, GF, gluten free, gluten free cream puffs, gluten free pastry, ham, pumpkin pie cheesecake, pumpkin pie tarts, recipes, rustic apple tarts, scalloped potatoes, stuffing, thanksgiving, turkey. Bookmark the permalink. I like every one of them, save the meats (I’m a vegan). Great recipes and nice of you to put them together so people have a menu ready-made and gluten free!